The epigraph at the beginning of Dervla McTiernan’s debut novel exposes the complexity of the book’s title alone. Whether one calls it The Rúin – as it was originally called in Ireland – or The Ruin – the less exotic title given to the novel by its English-speaking publishers – having the author explain the significance and various meanings of that term even before the novel begins should prepare readers for a journey quite original and downright captivating. 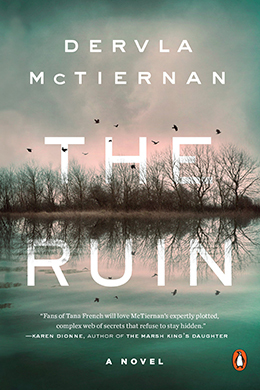 At its core, The Ruin is a police procedural set in Ireland across multiple decades, but unlike most crime fiction that focuses on investigative matters, Dervla McTiernan imbues this book with both the psychological astuteness of domestic suspense and the dark ambiance of a gritty noir tale. This is done to such an extent that labeling The Ruin by any one of these sub-genre designations would unjustly negate the intricacy of this work. The Ruin begins with a flashback in which Cormac Reilly, a new-to-the-job policeman, discovers the drug-overdose-induced death of Hilaria Blake in a home also occupied by the woman’s two young children – Maude and Jack. It is unclear how long the children have been fending for themselves, so Cormac takes them to the hospital. By the time he has Jack checked in for examination, Maude has vanished. At this point, the novel jumps twenty years and readers are introduced to Aisling Conroy and her boyfriend, Jack Blake. After a grueling shift at the hospital where she works, Aisling has some unexpected news to share with Jack. Shaken by what she tells him, Jack goes out for a solo walk, but he never returns. When Jack’s body is discovered in a local body of water, the police want to rule it a suicide, but Cormac Reilly is not so easily convinced. And when Maude returns shortly afterwards, he knows that he has to lend more of a hand than he was able to years earlier when he was a neophyte officer. Simple inquires by his colleagues eventually turn to more serious accusations as the past and present begin to merge. Dervla McTiernan has crafted three complex characters, all of whom want to do right by Jack Blake. His sister Maude is holding secrets she hopes never to reveal, his wife Aisling wants answers to the most basic of questions, and Cormac feels both a sense of duty to solve the modern crime and guilt over his handling of the historic case surrounding Hilaria Blake’s death. 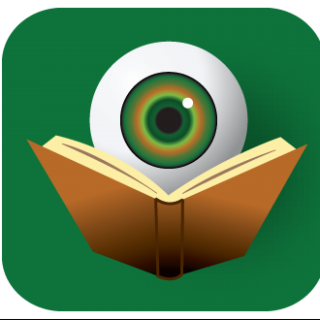 As all three of them work independently, the threads of their revelations begin to intertwine until the reader is presented with a complete picture of what happened years ago and its long-term ramifications throughout the lives of those involved. It is to the author’s credit that she is able to weave in a sense of Ireland’s challenging history into this plot without becoming pedantic. Dervla McTiernan’s writing is beautifully evocative and her skill in managing the constant time-shifts and intricate plot belies the fact that this is a debut work. Fortunately for all those that read The Ruin, this is simply the first in a new series featuring Cormac Reilly. Award nominations have already begun for The Ruin, so it is clear that Dervla McTiernan’s is a writer to watch.